A recent photo of “Ernesto Tornquist” ved Cap Constanta. In the foreground one Argentine of crew. 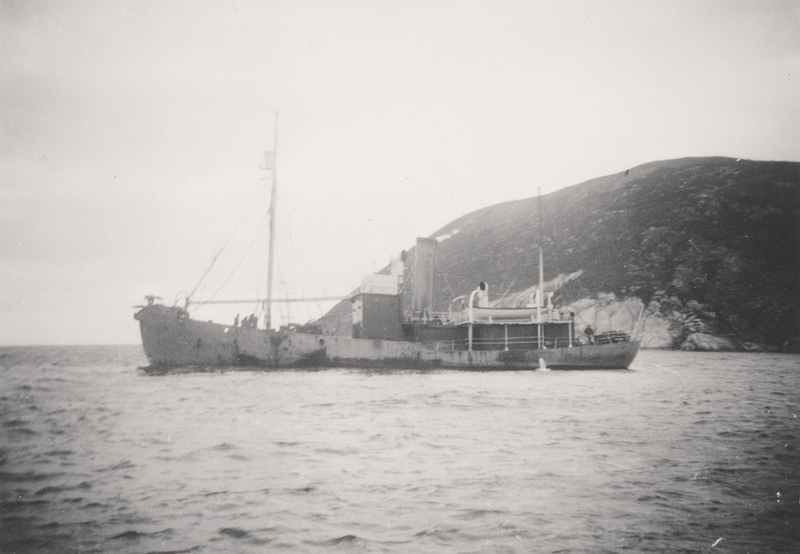 Whaling boat “Petrel” anchored in the Cumberland bay. This picture shows Flk “Balaena”, right, and Flk “Abraham Larsen”, to the left, moored in Gladstone harbor, Liverpool, the 23. april 1951. For more about the Flk “Balaena”, click her. For more about the Flk “Abraham Larsen”, click her. Whaling boat “Almirante Uribe”. built in 1906 by Framnæs Mechanical Sandefjord Sociedad Ballenera the Magallanes (Adolf Amandus Andresen, Sandar), Punta Arenas, Chile. 126 BRT. This is one of the images that are restored by Ellen M. Gundersen. Flk “Balaena” on Husoy flake Tønsberg. DS / HVB “Bever” together with another catcher from Thorendahl and more Ross Sea (The photo was taken from one of the Ross Sea catchers), on the way out of Kristiansand after lying in a port of refuge on the way south. More about the boat her. Thor Dahl Hvb “Bold” in high seas.